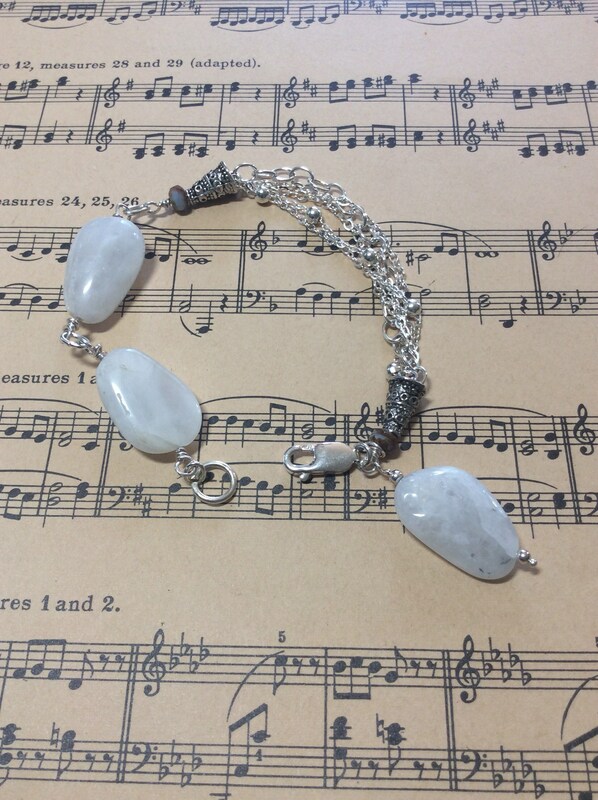 Moonstone nugget and sterling bracelet! 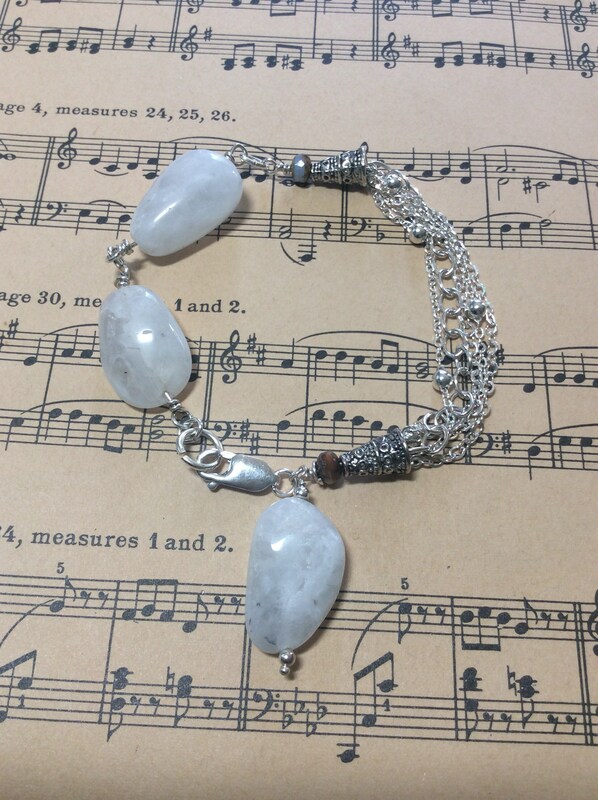 A gorgeous bracelet suitable for all seasons! Highly polished stones, these nuggets shine with a brightness that draws the eye to their effervescence. 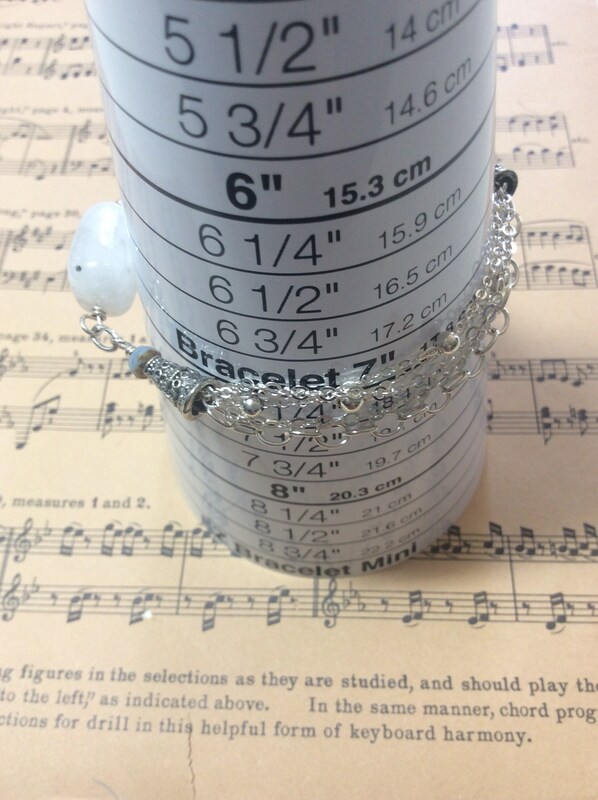 Measuring nearly 8” in length, the bracelet will fit a wrist of 7-7.50”. A small Picasso glass 4mm stone is at the end of each cone. 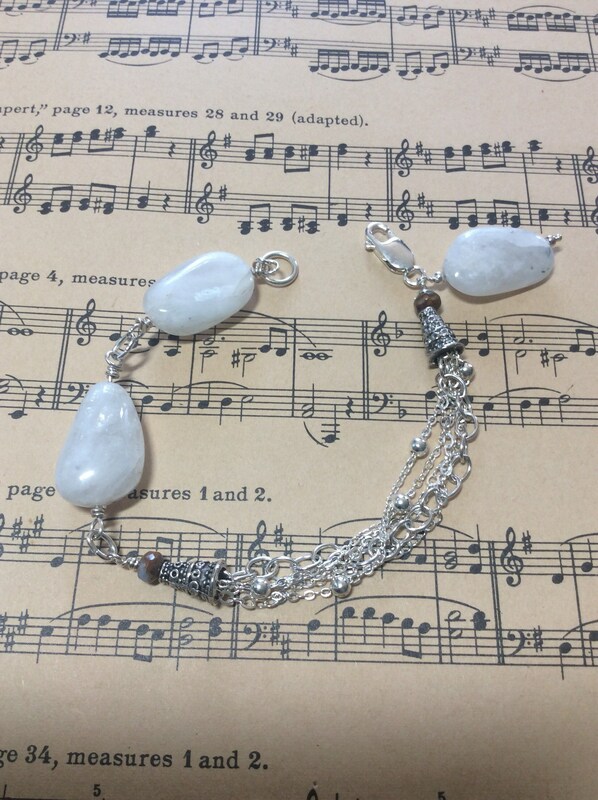 All chains and findings are made using sterling silver, much of which is recycled. I’ve used a lobster clasp for closure. 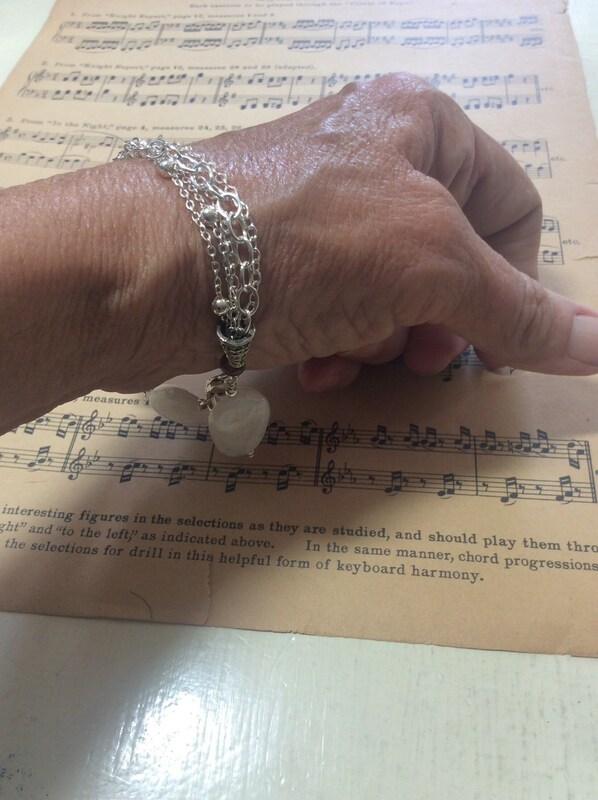 Shipping is free at Jesco Jewelry as are repairs! I’m so confident in my workmanship that I’m offering free repairs for the life of my pieces. This offer is at my discretion and doesn’t include abuse. See care of your pieces under the section titled Policies. Thank you for stopping in, and Jesco Jewelry looks forward to helping you with your jewelry items! Please convo me with any questions or concerns. I’m happy to send your items to another address, including a personalized note, if you desire!